The event is highlighted by an eight-man tournament in the 75 kg weight category. Vitaly “The Patriot” Gurkov of Belarus, the reigning 2017 KLF 75 kg tournament champion, returns to defend his title against a talented field of challengers. 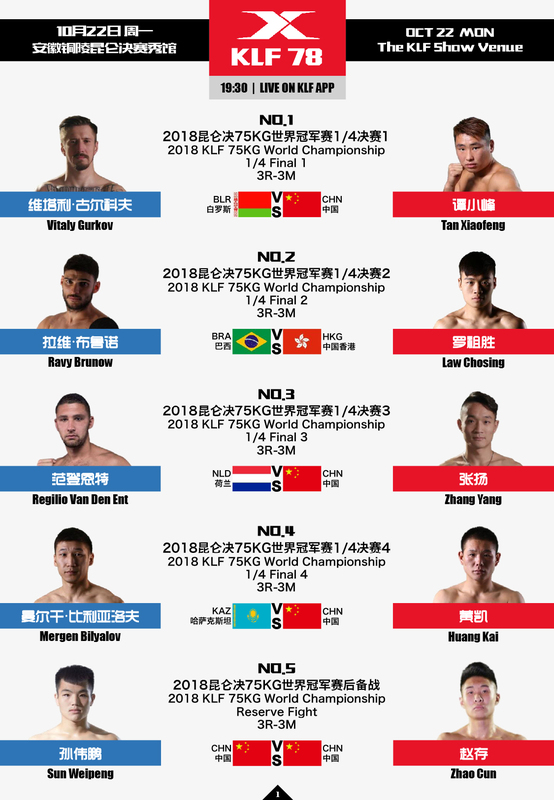 Enfusion fighter Regilio van den Ent of the Netherlands will also compete in the tournament, along with Thai Sudsakorn and top Chinese fighters.There is also a female super fight scheduled between Wang Kehan and France’s Mallaury Kalachnikoff. Don't miss it!